A Digicore (デジコア Dejikoa (電脳核, Den'noukaku lit. "computer kernel")) is a key component of a Digimon, alongside data. It acts as a kernel that manages all the individual processes of a Digimon. 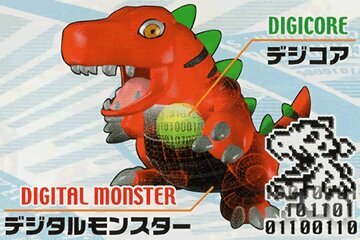 In response to Program X, several Digimon survived by altering their Digicores. This caused the Digimon were reborn in a form that could take in Program X and eventually it came to a point where a program that opposed Program X was installed into the Digicore. This page was last modified on 20 May 2018, at 03:50.